A good night and a great savings await you at the Rodeway Inn hotel located off Interstate 49 in Alexandria, LA. 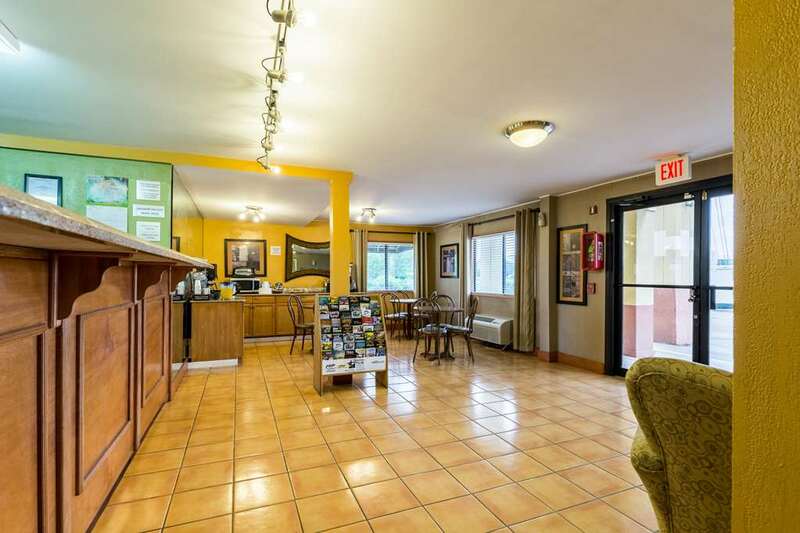 This pet-friendly hotel is near destinations like Union Tank Car, Oakwing Golf Club, Alexandria International Airport, Bringhurst Field and Alev. Convention Center. Enjoy amenities like free continental breakfast, free WiFi, laundry facility and business center with access to copy and fax services. Guest rooms include a TV, microwave, coffee maker and hair dryer. Some rooms offer a desk, sofa sleeper, iron and ironing board. Also, earn rewards including free nights and gift cards with our Choice Privileges Rewards program.